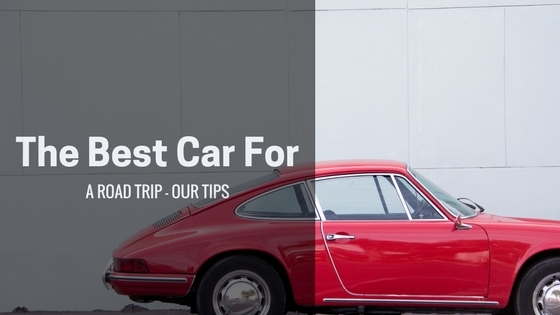 The Best Car for a Road Trip – Our Tips! What’s the Best Car for a Road Trip or Car Rental? So, we looked at the ominous sky, the clouds were grey and we wondered whether it was worth driving all the way to Blackpool. See, we had planned this road trip weeks in advance for the Bank holiday weekend and we were so looking forward to it. But we were not excited about the weather and that brings me to our car at the time. A sturdy yet beat up Lada Samara…It had seen better days, with a leaky sunroof, yet had never failed an MOT test! 😊 But we were wondering is this the best car for a road trip? The children were super excited about going to the Sand Castle, it would have been criminal to do anything other than set off. A few spits of rain couldn’t stop us. And guess what happens, soon as we set off, the heavens opened and delivered a shower par excellence…It was like someone was chucking down buckets of water at us. And the leaky sunroof couldn’t cope…Fortunately we had taped some cling film inside of the car and had our little wee sand bucket to collect any drips. Our then 5-year old daughter sang all the way to Preston when she fell asleep: Rain, rain go away, come again another day tralalalalaa lol! That was a few years ago! Today things are a lot different as we have a choice of 2 cars to choose for a road trip. Still we usually have the discussion, which of these cars is the best car for that road trip? Is it the German technology or the higher in the road Japanese sturdy 4WD? Recently we took off for a weekend to Loughborough. And we decided to look at car rentals, call it research for our blog too. You see one of the questions that arose from our blog poll was…You guessed it; what’s the best car rental for a road trip? So, today we decided to dive into this topic with a bit more detail. We also looked at it as an investment vehicle, if you are looking to create a car rental business, which cars would you consider? When you travel abroad and wish to see different sites without the restriction of a group trip or planned package deal, you can easily hire a car and hit the open road. All you need is a Sat Nav right? Wrong. [RECOMMENDED]: Improve your Flight Experience in 3 Proven Steps. You need to decide what is the best car for the road trip you are taking, a car that is capable, comfortable and meets your numbers needs. You can’t hire a 4 seater if you are 5 people with a fur baby and an infant that needs a car seat…Get the picture? Most car rental establishments have a decent mix of vehicles. Make sure to book in advance. So, you need to decide whether you need; space, drivability, comfort features like; inbuilt music player, aux sockets etc. Choosing the right car for your trip will definitely make the miles fly by and the scenery more attractive…lol it’s all in the mind isn’t it! As stated before, we looked into a car rental for a family of 4, we love space and for a 6-hour drive return trip,comfort was definitely essential. We wanted a car that is good for a family. That car could do for couples with their pets, may be friends travelling together etc. Of course, if you use your family car for a road trip, you might not stuff everyone in the car at the same time lolol…But hey we wanted to be sure you could! So we dug deep…. Are you USA based? Then you can even use the US New Best Price Program to find that fab best car deal! If you are taking a road trip in UK, definitely check out the Telegraph best scenic routes in Britain. Then do check out some more details on How We Manage to Travel The World as VIPs at Wholesale rates right here. So do we, DO you like Road trips what is your best car for a Road Trip? The wrong mode of transportation can certainly derail any trip. I am a Toyota girl not matter where in the world I am . We have a GMC Acadia that we bought after taking a cramped road trip to Orlando. We have found that it is very good for road trips. It has plenty of room and it is good on gas. Riding the best car for a road trip is a must to be able to enjoy it the most. This is so informative, I am glad you shared it. It’s been a while since I last went on a roadtrip with the family. It’s definitely good to have the perfect car. There are times wherein I would prefer the public transport depending on where we’re going but that’s mostly when it’s just me and my husband. It’s nice to have the best car for road trips especially if you do it often. I think it’s important that it suits your lifestyle and needs. I don’t like the idea of renting a car and I would rather bring my own. Very helpful! It can be hard choosing which rental place to use. There are just so many and everyone needs a different kind of car to meet their needs. 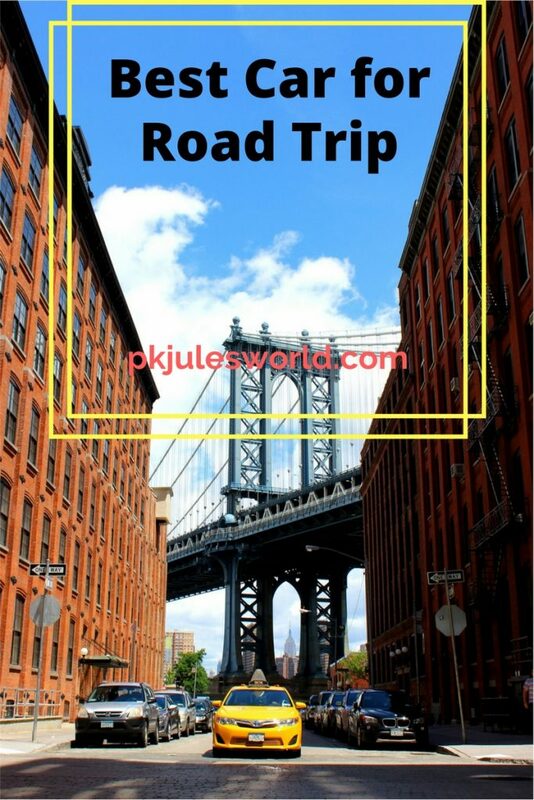 This is a great road trip guide! I love to travel but I always use public transportation, I cannot drive, plus I don’t own a car. lol. But this tips are really helpful! My bff is planning to join me on my next trip! Thanks for your time all the same Kelli. Public transport is an option many have to take and we appreciate that! Happy travels.